Our Mission is to provide an exciting Motorsports destination with an uncompromising commitment to safety. 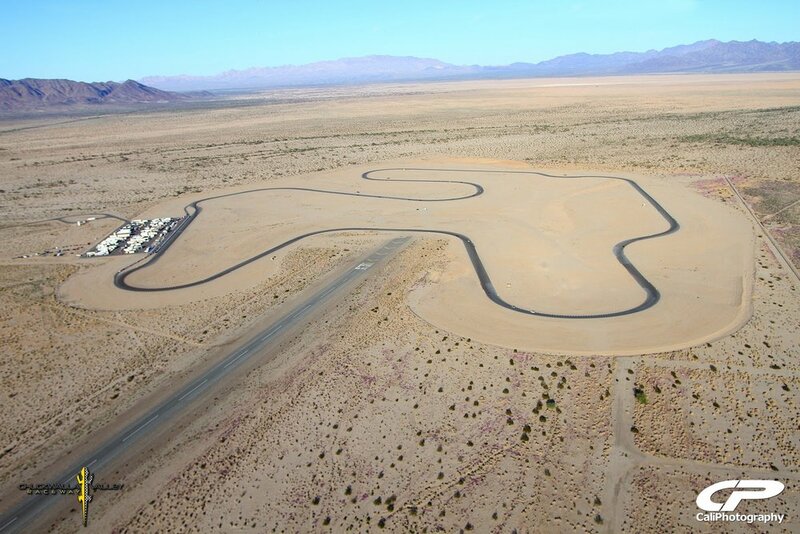 Chuckwalla Valley Raceway was built in 2010 and is considered by many to be Southern California's Premier road course. Situated on over 1,100 acres, the 17 turn, 2.68 mile track was designed to be run in both clockwise and counterclockwise directions and to provide the safest possible Motorsports experience for everyone from beginners to experienced racers. Located East of scenic Palm Springs off the I-10 in Desert Center, CA., the track is only ~3 hours from LA, San Diego, Phoenix, and Las Vegas. We know it seems like a long drive, but it's worth it and overnight paddock camping is encouraged or rent a cabin! Photography provided by Caliphotography, 4theriders, and fans.